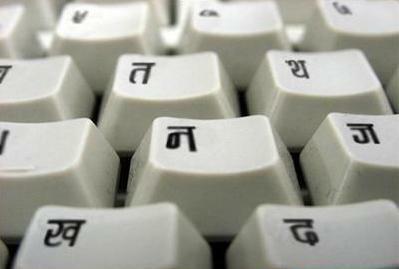 Two type of Nepali Keyboard Layouts are availiable till date Traditional and Romanized Layout. It is essential that Unicode is supported in your Operation System. Check the Unicode Article. Traditional Layout designed for True Type Font (TTF) like Preeti, Kantipur etc users. Romanized Layout is transliteration of the Nepali using English characters. The devnagari characters are mapped according to the semi-phonetic transcription across keyboards layouts. For example, the A,S,D,F,G,H keys correspond to आ, श, ध, ऊ, घ, अ respectively (English sounds). Install Downloaded setup (get it now) the Nepal Unicode Layout Romanize, Traditional or Both. "Install files for complex script and right-to-left language (including Thai)" and Hit Apply. (Windows XP installation CD might be required in this stage). 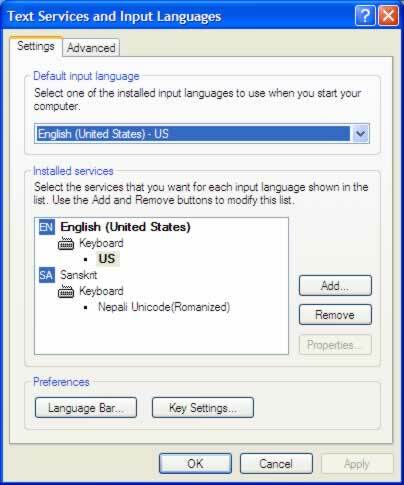 You will find a new window with heading of "Text Service and Input Language"
By default Setting Tab will open. You will find Add, Remove button at the right middle of this new window. A new window will appear. Add Input Language as header. 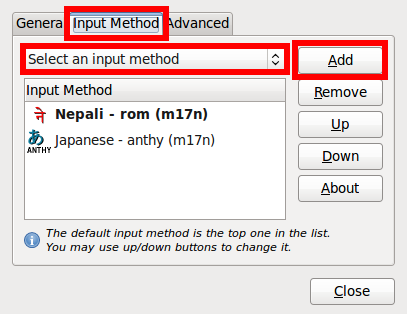 Click on Input Language Combo box and select Sanskrit as Input Language and NepaliRomanized or Nepalitraditional as Keyboard layout. 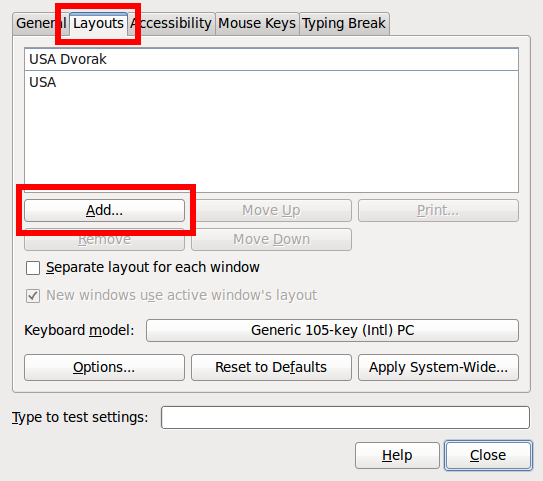 Keyboard Preference > [Tab] Layout > [Button] Add..
Left_Alt + Right_Alt is default shortcut to Language toggle. Daemon Have to be Loaded while startup to enable IBus. Run "/usr/bin/ibus-daemon -d" at Startup using System > Preference > Startup Application or any other methods. Ctrl + Space is default shortcut to Language toggle. International Summer School in Advanced Language Engineering.